HERE ARE THE GUESTS FOR 2018 ! SPECIAL GUEST: Ruth Westheimer better known as Dr RUTH! she'll be there to talk about her graphic novel biography! Adam Kubert is the current artist on Marvel's Spectacular Spider-Man. Son of legendary artist Joe Kubert, he's also co-running the Joe Kubert Art School. A recent Brooklyn transplant, Adam makes us the great Kavod of being one of our guests this year at Jewish Comic Con. He'll be signing starting at 1PM at the Kubert School table. 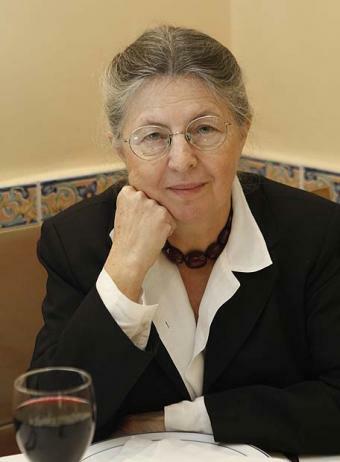 Katin was born in 1942, in wartime Budapest. she and her mother escaped the Nazi occupation of Hungary by faking their own deaths and acquiring false identification documents. In 1957, Katin and her family settled in Israel. There she joined a graphic arts studio in Tel Aviv. In 1963, Katin moved to New York before shuttling between Israel and the US (where she worked in animation until 2000. Miriam Katin "discovered comics for myself at age 63." Inspired by Art Spiegelman's graphic novel Maus, a Holocaust memoir, she started to work on her first graphic novel, We Are on Our Own, (Drawn and Quarterly, 2006).Her second graphic novel, Letting It Go, was published in 2013. Danny Fingeroth was a longtime editor and writer for Marvel Comics. He is the author of Superman on the Couch: What Superheroes Really Tell Us About Ourselves and Our Society; Disguised as Clark Kent: Jews, Comics and the Creation of the Superhero; The Rough Guide to Graphic Novels; In addition to tabling at our con, Danny will moderate the panels, along with Arie Kaplan. In addition to tabling at our con, Danny contributed ideas for a number of our panels, and, along with Arie Kaplan, will moderate them. Contact him at www.dannyfingeroth.com. Mindy Newell always had a crush on comics. And that led her to send her submission to DC Comics in 1983 where then editor Karen Berger recruited her to work on several books such as Catwoman, Lois Lane, Wonder-Woman, the Legion of Superheroes and even Action Comics. The curator and co-founder of the Jewish Comic Con was born in Paris, France, where he fell in love with American comics at an early age. After founding the first newsmagazine about comics, COMIC BOX, in 1998, he switched to writing. His smashing debut was SPIDER-MAN NOIR for Marvel Comics. He co-wrote, with Dave Hine, two mini-series with this character before moving on other projects, both in France and USA. In 2014-2015, he published the mini-series ONE-HIT WONDER at Image Comics. In 2016-2017, he wrote a new series, INTERTWINED, at Dynamite Comics. He now resides in Los Angeles where he serves as Senior Editor for Humanoids Publishing. Arie Kaplan is an author and comic book writer. He has written several graphic novels, including Speed Racer: Chronicles of the Racer (IDW Publishing, 2008), Shadow Guy & Gamma Gal: Heroes Unite (Penguin Young Readers Group/Disney Club Penguin, 2010), and The New Kid From Planet Glorf (Capstone, 2013). Arie is the author of the nonfiction title From Krakow to Krypton: Jews and Comic Books, which was a 2008 finalist for the National Jewish Book Award and a 2009 Sophie Brody Honor Book (awarded by the American Library Association) Recently, Arie wrote two LEGO Star Wars books for Scholastic. The first one, Face Off, will be published in September 2016. Over the years, Arie has also penned numerous humor articles for MAD Magazine. Arie is proud to be part of the Jewish Comic Con, where he'll moderate the panels, along with Danny Fingeroth. Julian Voloj is the type of creative talent that this industry will always be proud to have in its ranks. The photographer and writer was working on a series on Jewish diversity, when he met Benjamin Melendez, a former gang leader (and Crypto Jew!) who brokered a gang truce in 1971 that consequently led to the emergence of hip hop in the South Bronx (and inspired the cult movie "The Warriors"). Melendez became the subject of Julian's debut graphic novel "Ghetto Brother" (illustrated by Claudia Ahlering, published in the U.S. by NBM). "Die Judenbuche" ("The Jew's Beech"), also with Ahlering, was published last year in Germany. The graphic novel is based on a 19th century novella and retells the story of a historic murder in his native Westphalia. This month, coinciding with the 80th anniversary of Superman’s debut in Action Comics, SuperGenius publishes "The Artist Behind Superman: The Joe Shuster Story" (with artist Thomas Campi). The graphic novel, putting the life and struggles of the Jewish creators of Superman into the wider context of American comic book history, will debut at Jewish Comic Con. Appearing together at the Jewish Comic Con, Holocaust scholar Dr. Rafael Medoff and comics historian & publisher Craig Yoe will bring their unique talent to the panel "Cartoonists Against the Holocaust". They will discuss their latest cutting-edge projects, including Cartoonists Against the Holocaust, their collection of 1940s political cartoons that tried to alert America about the Nazi genocide; They Spoke Out, the new animated series with Disney Educational Productions; and the new line of Holocaust-related comic books illustrated by award-winning Mr. X creator Dean Motter. And a special sneak preview of their forthcoming Holocaust project with Neal Adams! Xeric-Award winning graphic novelist Neil Kleid authored Ninety Candles, a graphic novella about life, death, legacy and comics, as well as the acclaimed graphic novels Brownsville and The Big Kahn for NBM Publishing. He has written for nearly every publisher in the comic book industry, adapted Jack London's Call of the Wild into sequentials for Penguin Books/Puffin Graphics, did the opposite for the seminal Marvel Comics' storyline Spider-Man: Kraven's Last Hunt, and co-authored (with co-creator Brian Michael Bendis) Powers: The Secret History of Deena Pilgrim, the first-ever original prose novel based on the award-winning comic book. Isaac Goodhart is a New York based comic artist. He got his start in comics after being one of the winners of the 2013 Top Cow talent hunt. His first work was Artifacts issue 38 and is currently working on the ongoing series, Postal which started in February 2015 and ends in April 2018. He'll then move to DC Comics for an all-ages project! The first ever Jewish Comic Con. A love letter to the creators of the comic book medium and their heroes.